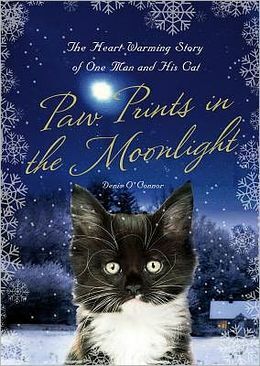 This is another book lent to me by my cat-loving coworker Laura. It is a sweet story about a man living in the English countryside during the 1960s who finds a dying cat and her two weak kittens during a snowstorm. The mother and one of the kittens cannot be saved, but Denis has a feeling he can nurse the tiny black and white fluffball back to health. He does so after lots of sleepless nights and names the cat Toby Jug. I would recommend it to animal lovers nonetheless, because there are many beautiful details about not just cats but wild birds, forest creatures, and a quite affectionate horse that Denis and Toby Jug take camping with them one summer. It is also a very quick read, so the dry parts often easily give way to cute imagery of Toby Jug chasing moths or a funny neighbor telling Denis how to rid his ancient stone cottage of bees. My coworker lent me this book, since her and I share a singular love of crazy, ridiculous cats and both have two that own our homes. 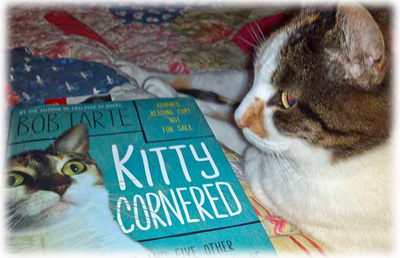 Kitty Cornered centers around Bob and Linda Tarte, who own over fifty pets on their property, most of them various birds such as their barn full of ducks. They notice a stray kitten hanging out in the woods near their home, a white and black kitten who seems terrified of humans but oddly drawn to them. Over the course of coaxing the cat (Frannie) out of the woods, they find themselves with a fat tabby named Lucy, a caramel cat named Tina, and a huge silly cat named Maynard, in addition to the two house cats they already have. If you have a a few pets, especially some unusual personalities, you already know the story well: the first moments of connection are moments you will never forget, animal power dynamics are complex and fascinating, and vet visits are completely anxiety-inducing. Bob, Linda, his six cats, and his menagerie of bunnies and birds create quite a lovable ensemble. This is a fun story that takes mundane activities like buying cat food or watching a cat climb stairs and turns them into hilarious shenanigans. Cat picture above from Bob’s website, www.bobtarte.com. There are reviews of his other books there, as well as pictures of the Tartes’ animals. 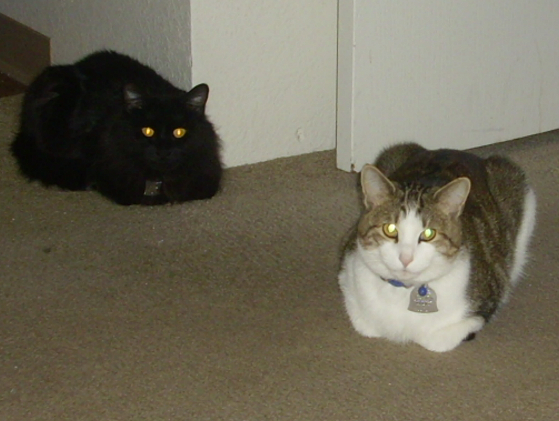 These are the cats that run our home, Nibbler (right) and Jade. Earl Grey and A Million Words · One woman's yearly quest for literature, caffeine, and leisure in a hectic world.